iPad Mini, Samsung S4, Nokia Lumia, Canon Powershot Camera and many more! Answer the question given - it can be upload a picture, answer a question or come up with a slogan. 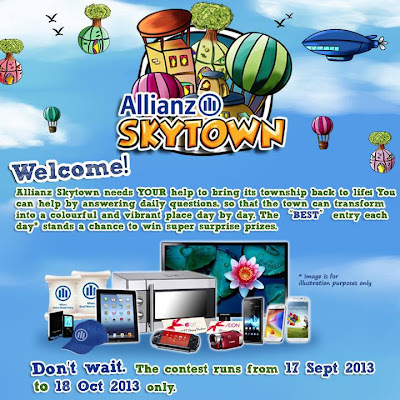 Visit Allianz Malaysia Facebook fan page for more details.